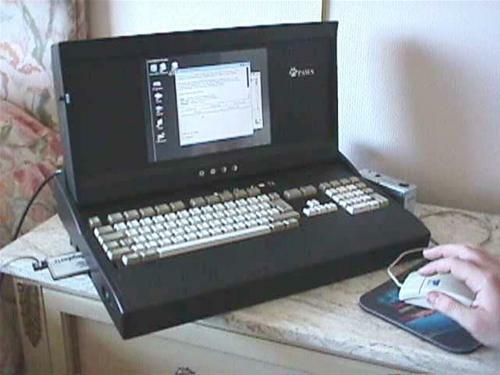 The PAWS (Portable Amiga Workstation) from US-based Silent Paws was an hardware upgrade to the existing A1200 system. The kit rehoused the Amiga motherboard and keyboard inside a portable case and used the LCD display via some tweaking of the VGAOnly monitor driver settings. An interesting effort to utilise existing PC technology and avoid licencing difficulties. The A4000 version turned the machine into a luggable unit. Page contributors: Amiga history guide.